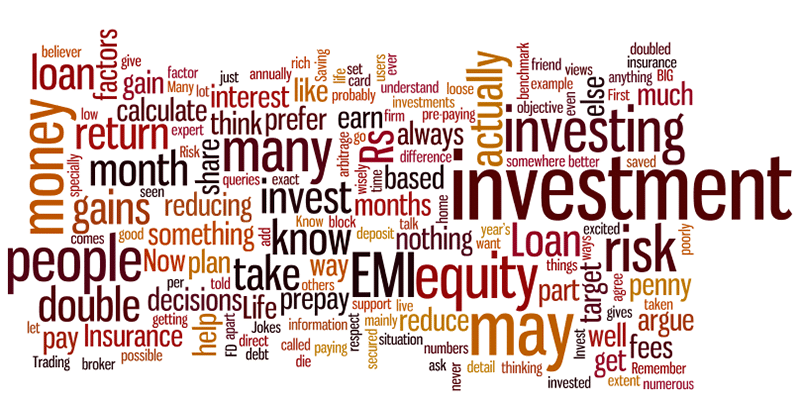 In response to my post on Factors to consider before investing last week Ajay Mehra – reader of blog have some more tips to add to each factor and so I thought I will share them with all. Invest with eyes open. Go for a No debt profile. Loans would be justified for value addition like House/Education and very immediate needs with a clear repayment plan. Security/Return/Liquidity are the three parameters, which need to be looked into before Investing. Thereafter factors like AGE and your Personal Priority Plan also need to be considered. Avoid gambling. Invest according to your risk profile, and for long term goals. Re-look and reassess your portfolio from time to time also. I will encourage if there are more tips which you want to share leave them in comments or can even email me and I will add them to the list.